Benedict de Spinoza is a key figure in Western philosophy and had a significant influence on philosophers such as Hegel, Schopenhauer, and Nietzsche. 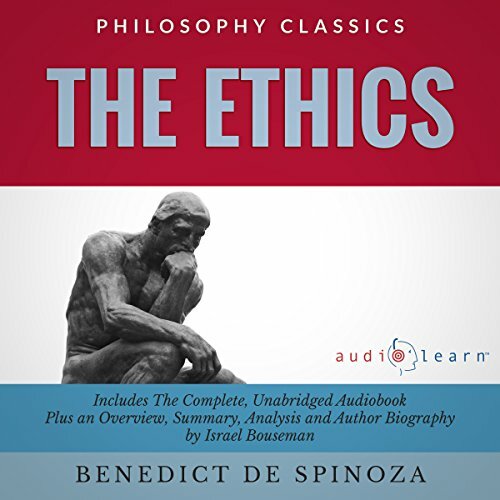 Ethics is Spinoza's masterpiece, the most comprehensive summary of his thought and perspective. The full narration of the work is preceded by a summary, which includes an overview and synopsis of the work, a biography of the author, and the historical context of the piece. This presentation of Ethics is ideal for the sincere philosophy scholar and for anyone interested in history or metaphysics. 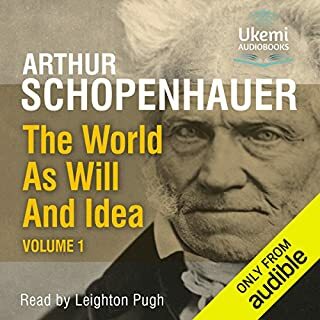 I’ve read and listened to a number of philosophical works. It’s a bit of a passion for me. And yet, I found this one really difficult to digest. It is arranged exactly as Spinoza intended – as a series of geometry-style proofs to describe the nature of God, existence, and the relation between the two. Or the one, as Spinoza asserts in the text, claiming that all of the manifestations in existence are just modes of the singular substance of God. 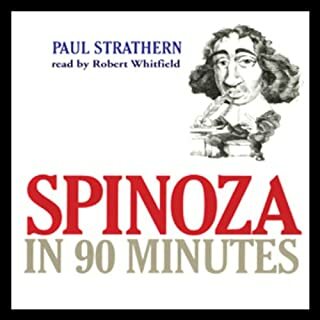 It is a unique perspective, and one that stands apart from other philosophical views, both during Spinoza’s time and in the centuries that follow. For this reason above any other, Spinoza’s Ethics is worth a thorough examination. If you can give it the time and focus it requires, then it will offer a fascinating new way of looking at the world. Spinoza structures the text in five parts, looking at the nature of God, the qualities of human beings, motivation, emotion, and free will. Each of the sections begins with a list of definitions. Spinoza reviews the terms specific to the section, defining them in unique ways. At first I glossed over this section, but once I began looking at the later bits, the axioms and propositions, I realized that I had to go back and explore what Spinoza meant by his terms. Words like substance and mode, for example, are used to define the nature of God and various aspects of the manifest world. The definitions are, in the next section, put together in the form of axioms, statements taken as necessary truths. Some of them are pretty obvious like, “All bodies are either in motion or at rest.” Kind of covers all the bases. The ones that are obviously true are also the least valuable, because they are pretty much common sense. Others take a bit of wading through in order to extract sense, like “Modes of thinking, such as love, desire, or any other of the passions, do not take place unless there be in the same individual an idea of the thing loved, desired, and etc. But the idea can exist without any other mode of thinking.” There, Spinoza is essentially saying that feelings and motivations don’t arise out of context. They must be inspired by a specific cause, a person, thing, or idea. This may be true, but I’m really not so certain about it. Desire may require a focus, a something that we desire. But can happiness come in for no specific reason? After the axiom sections, Spinoza moves into postulates and propositions. He takes these general rules, and combines them, arriving at the conclusions that shape his philosophy. It’s a very left-brained approach, one that takes certain logical ideas and builds them into philosophical constructs. One of these propositions, the first in the second section, is that “God is a thinking thing.” He follows the proposition with a proof that supports the conclusion. Now, this is a pretty big statement, and one that many philosophers might take hard to swallow. It does follow from his definitions, however. The language in which these conclusions are expressed suggests that the proof is incontrovertible, and this to me makes it a bit suspect. Philosophy is a striving into the unknown, and to say that the unknown is fully apprehended through a series of definitions and proofs might simply mean that the definitions themselves are limited. One of the main virtues of the piece is that Spinoza used these proofs to challenge the prevailing view of God and the universe. In one instance, he addresses the tendency to view the power of God as similar to the power of kings. He instead posits that all the manifestations, or all things in existence, are necessary and inevitable reflections of God as the primary substance. 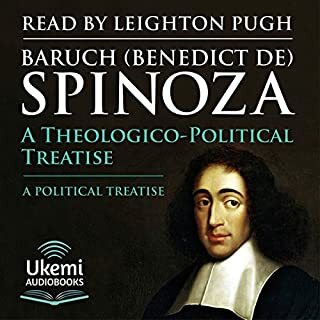 This is a bit complicated, but Spinoza’s work helped to expand theological and philosophical understanding past the dogmatic approach that dominated medieval Europe. Another deviation from the prevailing perspective was that Spinoza identified God with the manifest world. Previous perspectives took the Deity as a creator that stood apart from creation, something outside of the physical universe. Spinoza portrayed an immanent God, a substance that composed the whole in all its infinite variety. It may be that the geometric style of the argument has its flaws, but the conclusions the Spinoza came to through his method definitely merit a bit of consideration. Another feature that he touches upon is human motivation, and the tendency of all things to seek self-preservation. We act towards self-preservation by moving towards things that we desire, and away from things that cause pain. This perspective is further developed by Hume, who created the foundation of human psychology. It’s fascinating to see in this work the roots of Hume’s perspective, as well as of the modern conception of self. Spinoza used this logical, scientific approach to clear away some of the dogmatic assumptions that had hindered the growth of philosophy and progress for a millennium. He may have overreached a bit in some of his definitions, but broke new ground and set the stage for the Enlightenment period in the years to follow. Philosophy can be seen as a dialogue stretched out over years, with each point explained at length and following from the perspectives that came before. This, for me, is what makes Ethics such a worthwhile listen. 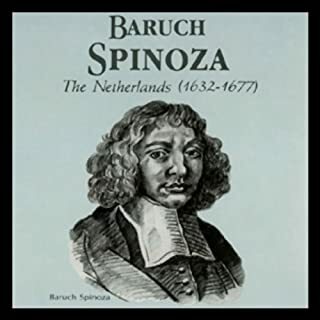 Spinoza is the transition point between the theological philosophers, like Thomas Aquinas, the founding fathers of modern philosophy, such as Descartes and Hobbes, and those later in the field such as Hegel and Schopenhauer. Though the work is dense and a bit dry, it deepened my understanding of the growth of philosophy through this era. 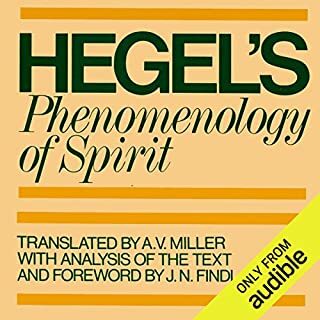 It has the hallmarks of a great philosophical work in that it shows the implications of a number of thoughts that we consider to be self-evident. Spinoza takes a number of common-sense style thoughts and builds them into an edifice of philosophical and psychological understanding.